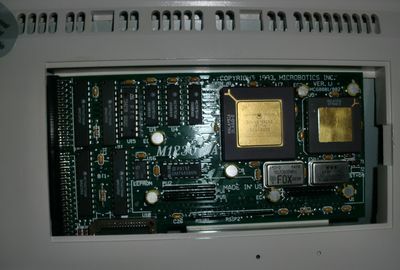 The memory module is quite slim, so it was very easy to install it in my Microbotics 1230 XA accelerator. Now over to something completely different.. Since I’ve got the opportunity, I’d like to mention a post by my friend StiGGy about Wolfenstein 3D. It turns out that this game will become 20 years old in the near future! 🙂 Because of this, I thought I’d better look into some Amiga ports of the game. I downloaded a recent one from Aminet.net (AWolf3D.lha) and gave it a go. The performance was not great on my setup and it ran slower than the various Doom-ports I’ve tried, but it was playable when I scaled the screen a bit down. I might be able to download a few utilities to speed up my setup as well, so that should help. 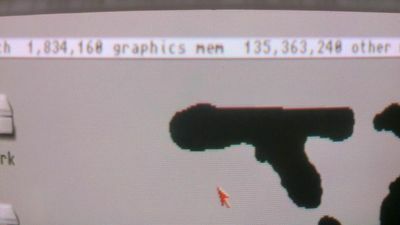 Anyway, it was fun to see this game running on the Amiga after all those years. Have a good weekend folks and many thanks for reading! BTW. 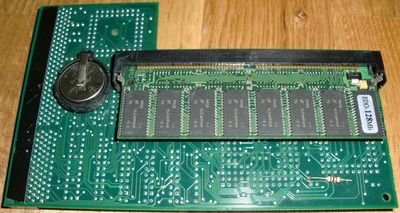 Thank you for the help with the emulator, it was a lot better than the previous one I was trying to use, I am still having some trouble with this one, but I think it might be due to some minor tweeking, as well as maybe a memory upgrade, not exactly sure. No problem my friend. Glad to be of help. Please let me know if you’ve got some questions concerning the emulator and I’ll try to answer them. Yay for Wolfenstein 3Ds anniversary! I saw that they made a browser version (a bit similar to the Quake Live client) and that makes me happy. Now everyone should be able to enjoy the awesome game that is Wolf3D. 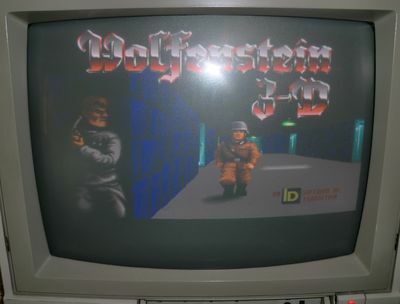 Hurrah for Wolfenstein 3D! 😀 I’ve yet to try the browser version, but will definitely give it a go.